Bought this the other day out in the suburbs before having Korean noodle. Du Kuh Bee is open late and the waiter knows my order before I sit down. Finding a restaurant like this starts to make me feel like a place is my home. 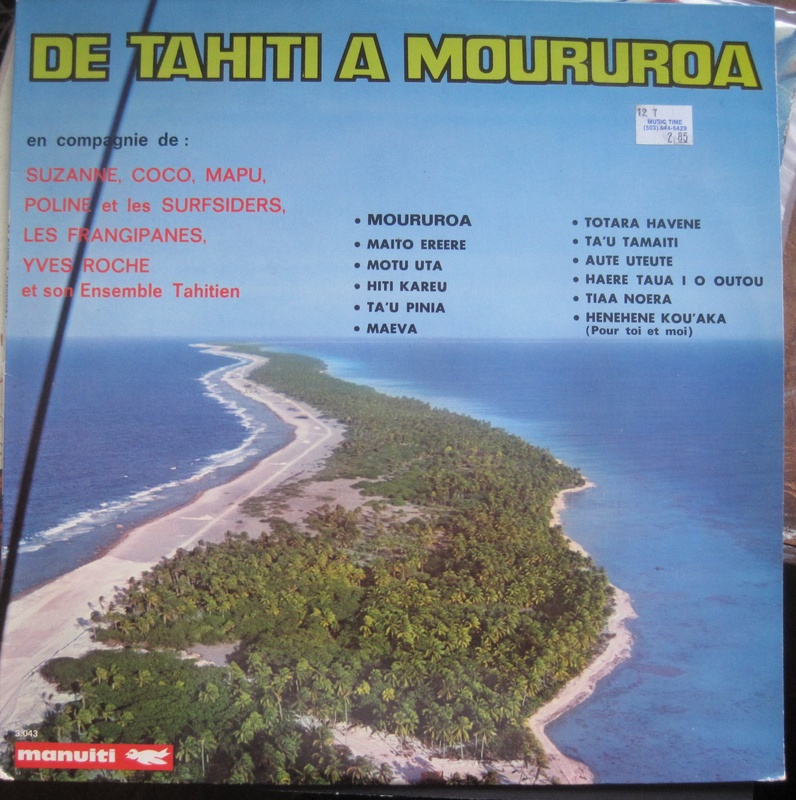 Sometimes it can be a little hard finding music from the south pacific that was recorded and marketed for more than just the tourist market. Its hard to tell with this one. After enjoying some of the artists on this label sampler record, a short unsuccessful search on the internet was followed by an email to the label in Tahiti, tried out some wickedly bad french in the hopes of tracking down old vinyl copies of records by Poline or Suzanne. The owner of the label Yves Roche was kind enough to respond and relate the unfortunate news that all their vinyl was long gone. He recommended some cds. Moururoa is a small atoll that starting in 1966 was used extensively by the French government for nuclear testing. There was 41 above ground nuclear tests with 35 of them detonating in helium balloons. The government of New Zealand pressured France into stopping these in 1974 so their solution was to move them underground for the next 20 years. Location: crappy beaverton record store. There is a genre of music in Japan where people sing about how awful they feel. It’s sort of like Japanese blues. Maybe it is called enka? My friend Chizuko told me it is only old people that like this kind of music. I like it a lot too. Enka suggests a traditional, idealized, or romanticized aspect of Japanese culture and attitudes. Enka singers, predominantly women, usually perform in a kimono or in evening dress. Male enka performers tend to wear formal dress, or in some performances, traditional Japanese attire. Modern enka’s mainstream scale is called “Yonanuki Tan-Onkai” (ヨナ抜き短音階?) or “Minor Scale without Four and Seven (Re and Sol),” and is a modified version of “Yonanuki Chō-Onkai” (ヨナ抜き長音階?) or “Major Scale without Four and Seven (Fa and Ti),” which came from an older Japanese scale, the “Ryo Scale” (呂音階, Ryo Onkai). Enka lyrics are usually written similarly around the themes of love and loss, loneliness, enduring hardships, and persevering in the face of difficulties, even suicide or death. 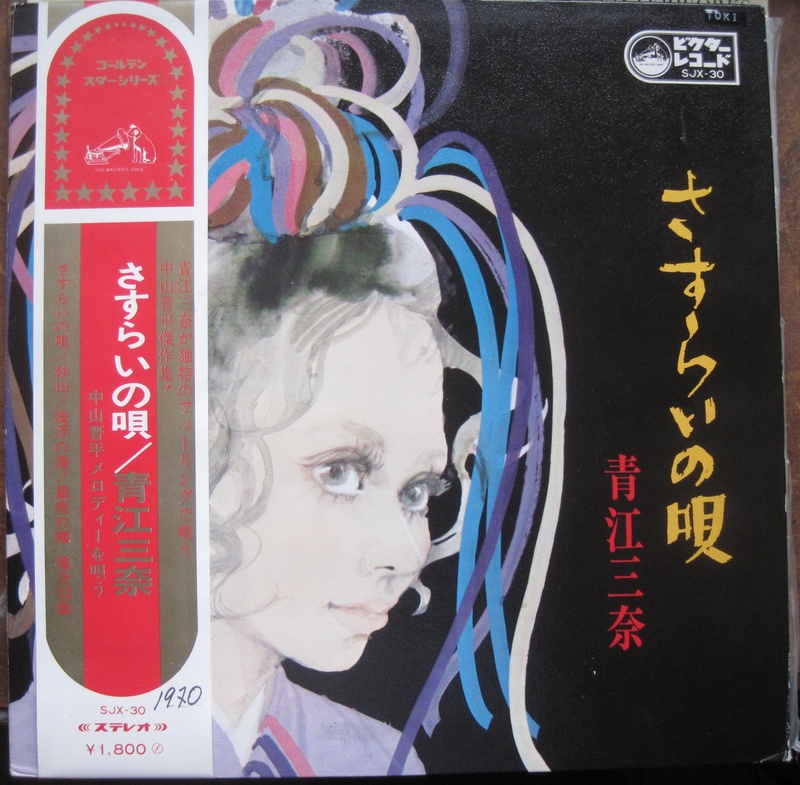 Although enka is a genre of kayōkyoku, it is considered to be more expressive and emotional, though there is no clear consensus on the matter. I sent scans of this to Koji Seito, hopefully he can help. Sounds okay but could live without the doobie doos. You are currently browsing the Backroom blog archives for March, 2011.